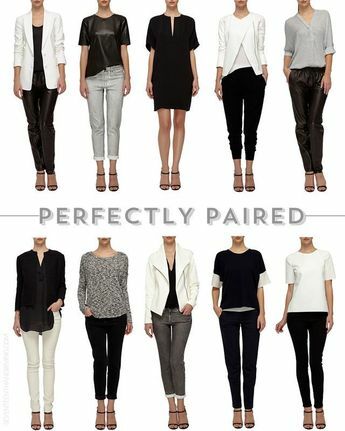 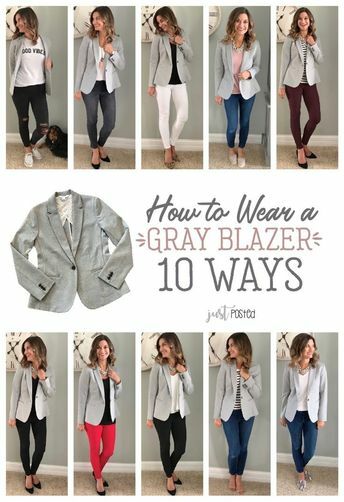 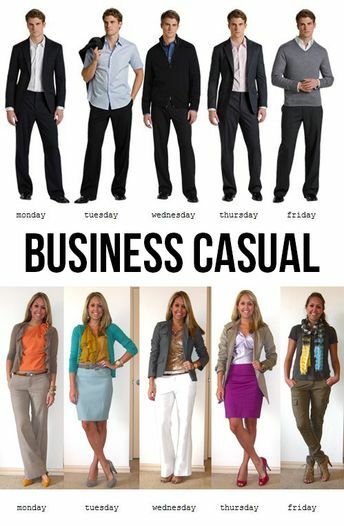 How to wear and style 1 gray blazer 10 different ways! 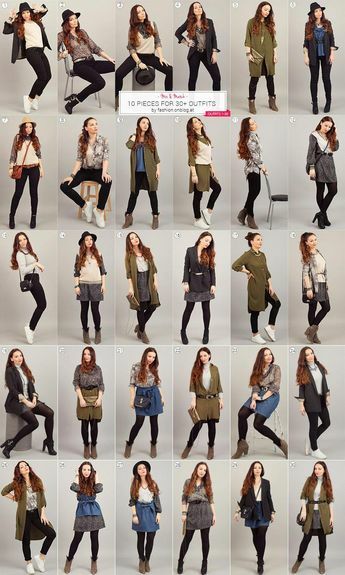 This knit blazer is perfect to dress up or down! 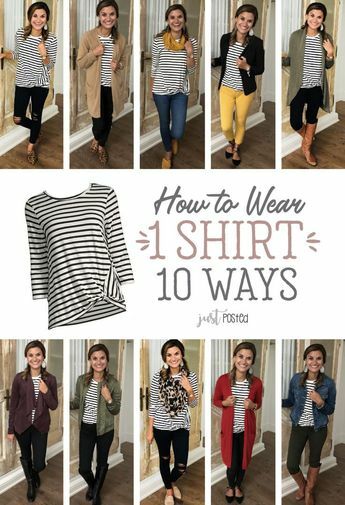 It is a great piece for a casual look or work look. 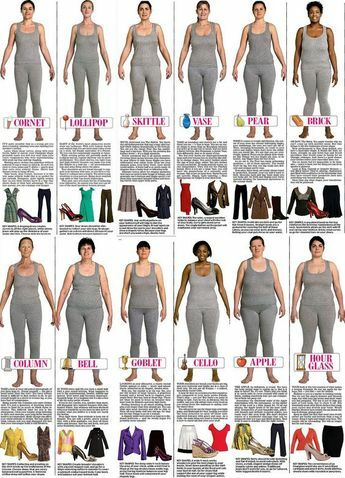 And, the best part is that it is super comfortable! 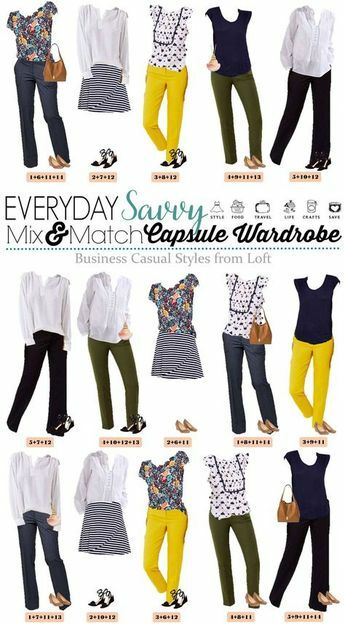 This is a perfect item for a capsule wardrobe! 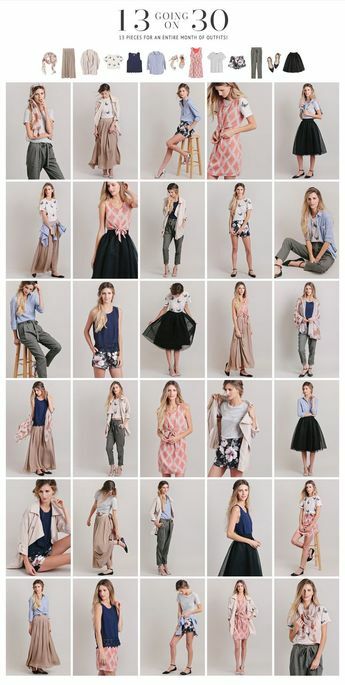 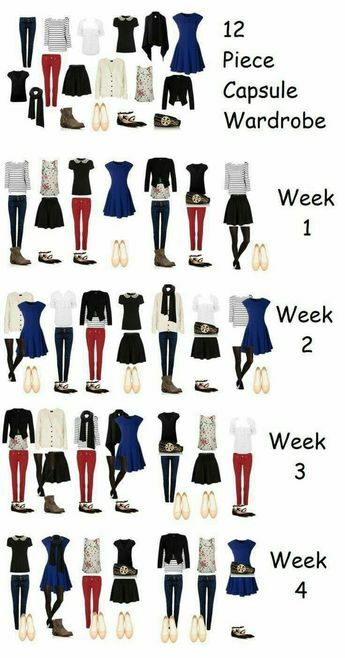 6 pieces of clothing, 14 outfits! 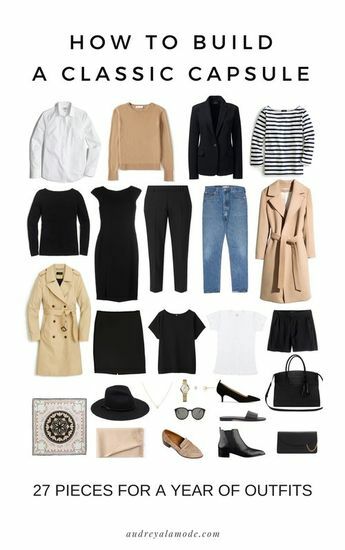 Minimal Wardrobe: Spring Summer 15 Looks With 13 Pieces I think this is a good styling guide, that you can fill in with pieces already in your own wardrobe - replace white jeans with favorite skinnies and so on . 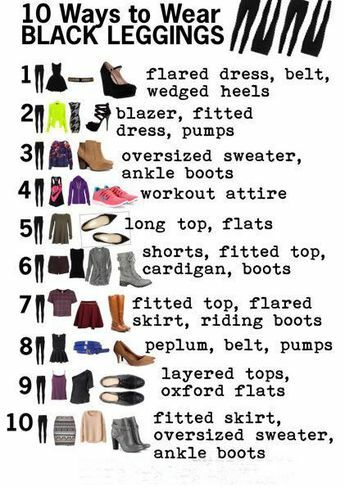 . .
One pair of leggings worn 10 ways.